Gino’s East loves you, and we’re going to prove it by doing something only your mother would do. We’re gonna pack your lunchbox. We may even embarrass you in front of your friends. Our new boxed lunches will take you back to grade school, and make you feel special again. 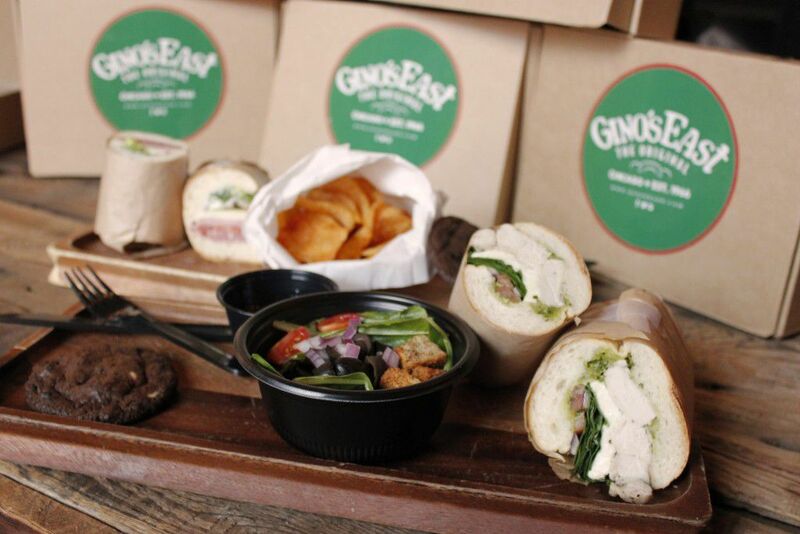 That’s right, Gino’s East is now catering lunch. We may not have the cabbage patch kids lunch box you rocked in fifth grade, but we guarantee our hot sandwiches are better than your crustless PB&J. Well, atleast AS good. Probably better though. Buy 9 and get 1 FREE. That’s right, i’m talking to you #10. Find 9 of your buddies and have them order you a free lunch. That’s a darn good idea if you ask me. Customer’s choice of chicken pesto, hot Italian, or veggie. Choose between salad or chips for a side and a cookie for desert. MUST contact Erin at 312.623.3532 or eleary@bravorestaurants.com Mon-Fri 9-5pm. 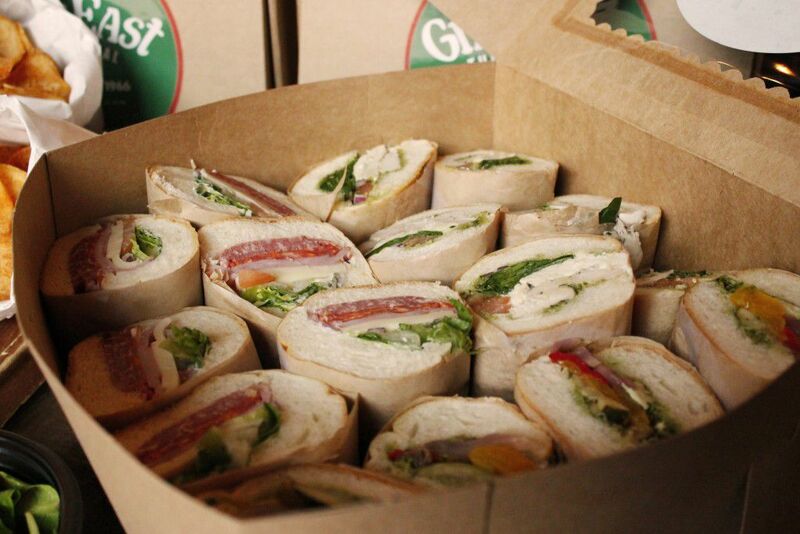 16 “3 sandwiches in a box. Simple and delicious. Choice of veggie, hot Italian or chicken pesto. Great alternative to pizza and contains fresh ingredients.